I have been playing around with it and am amazed by the versatility. I have been using online programs to make my photo books and have been frustrated with their limitations. MyMemories has endless possibilities and you don't have to be connected to the internet or upload your photos. For this page I chose one of MyMemories many background papers and used one of the easy photo layouts. I added a white mat and shadow to the photos. For this page I used all of my own original content. The background photo is one that I took while on vacation. 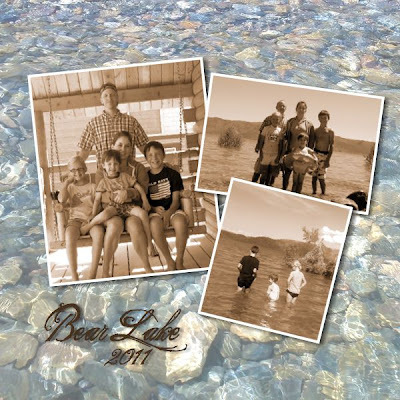 I used another MyMemories photo layout and added the sepia effect. I love how easy it is to add effects, fix red eye, crop and adjust photos within the program. I also added a white mat and shadow to the photos. 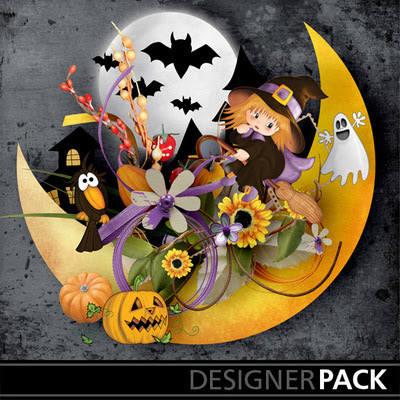 There are tons of great embellishments (buttons, stickers, and ribbons) within the program. No matter your skill level, you will find this program easy to use. You can start off with a designer template and just drag and drop photos or you can create your own unique look. 1. 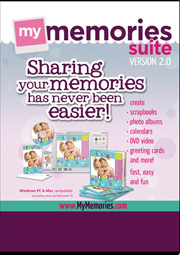 Go to www.MyMemories.com and choose your favorite digital paper pack, then come back here and post a comment about it. 1. Follow my blog and post a comment that you are a follower. 2. Visit the MyMemories blog and follow them, then come back here and leave a comment that you are following. 2. Visit MyMemories facebook page and "like" them, then come back here and leave a comment. 3. Follow MyMemories on Twitter and come back and leave a comment. 4. Tweet, blog, or facebook this post, then come back and leave a comment and link for each one (worth 1 extra entry for each one you do). Last day to enter is Tuesday, November 1st. 1 lucky winner will be chosen at random on Wednesday, November 2nd. Make sure to include an email in your comments. What a neat program! It looks like there'd be a ton of ways to personalize your pages. Thanks for hosting this giveaway. I like the "Aged to Perfection" pack. Maybe I would FINALLY do something with my photos if I had this software! My favorite is the musical memories. My daughter is in band, and it is beautiful. 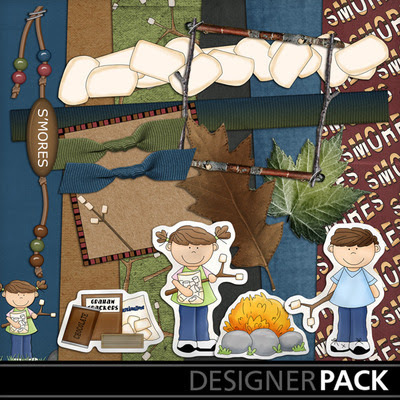 I really liked the Girls Camp Too Digital pack! 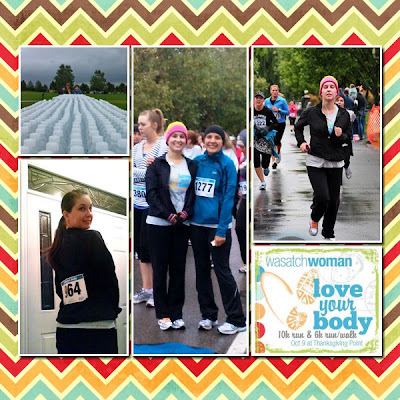 I went to My Memories Blog & am now following them! I am now following your site & would love it if you would follow me too! Now following them on twitter! Thanks so much for the chance & glad to be following along now.